ONCHAN, Isle of Man – February 3, 2016 – The European Poker Tour (EPT) Dublin Festival, which starts on Tuesday, February 9, is set to be the biggest poker festival ever hosted in Ireland by PokerStars, an Amaya Inc. (Nasdaq: AYA; TSX: AYA) brand. The EPT is joining forces with the regional UK & Ireland Poker Tour (UKIPT) for a 67-event festival over 12 days, which will be held at the Royal Dublin Society. It is the EPT’s first visit to the Irish capital in more than eight years; the last EPT Dublin was held in Season 4 when American Reuben Peters took home a massive €532,620. The last time a PokerStars-sponsored went to Dublin was almost two years ago when Irish poker professional Kevin Killeen won €87,700 after beating 681 players in the €770 UKIPT Main Event. For full details for the EPT Dublin schedule, please see: http://www.europeanpokertour.com/. New for EPT Dublin is a mixed chess and poker tournament – a format that’s already proved to be popular on the UKIPT after a successful debut at the Isle of Man stop. EPT-managed cash games will be running each day until 6.00am for the duration of the festival. Team PokerStars Pros set to compete in Ireland include Liv Boeree, Jake Cody, Jason Mercier, Bertrand ‘ElkY’ Grospellier, Lex Veldhuis, George Danzer, and Johnny Lodden, who will be seeking to break his own record for most EPT Main Event cashes. The Norwegian high-stakes pro has now made the money in an astonishing 22 events – including the last four in a row (Grand Final, Barcelona, Malta and Prague). 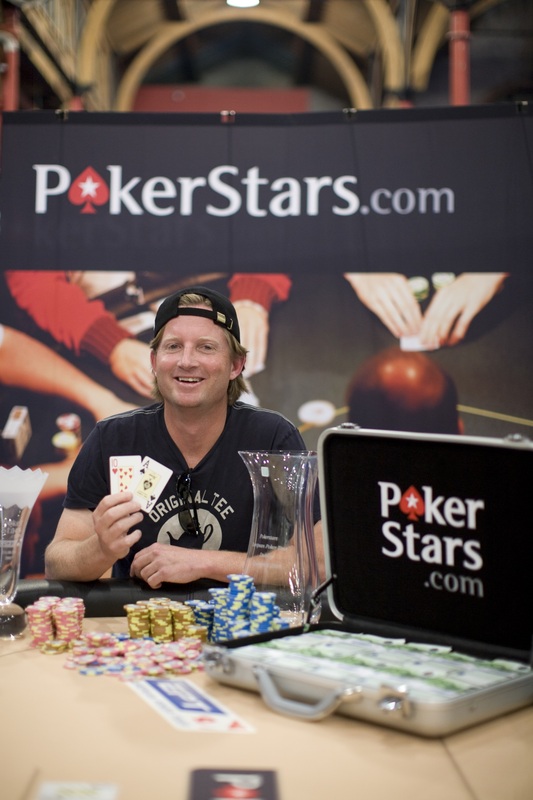 Off the felt, there will be some competitive action in the form of StarsFun – a new initiative that encourages participation in non-poker activities between fellow players and Team PokerStars Pros at PokerStars live events. Players have the opportunity to try out their athletic skills with a Trampoline Dodgeball tournament on February 11, with the winners able to celebrate at The Horse Show House – the venue for the Players Party on February 13. A host of pros are expected to compete in the €100 + €50 rebuy tournament taking place on Valentine’s Day (February 14) in aid of the EPT’s Season 12 charity partner Right To Play. The charity uses sports, games and play, to help children and young people in over 20 countries overcome the effects of poverty, disease and war. EPT Dublin will host the first ever ‘auditions’ at a live event for prospective dealers and tournament staff. The sessions are taking place on the final day of the festival from 14.00. Dealers should already have at least two years’ experience and have already submitted their CV to Global Poker Tours Ltd – see the PokerStars blog report for more details: http://psta.rs/1KEWcJN. The last EPT Dublin winner was American player Reuben Peters, who beat Norway’s Annette Obrestad heads-up for a €532,620 first prize in Season 4. Other EPT Dublin champions include Roland de Wolfe (Season 3, €554,300), Mats Gavin (Season 2, €317,000), and Ram Vaswani (Season 1, €93,000). The European Poker Tour (EPT) is the world’s richest and most popular poker tour. Since 2004, the EPT has paid out over €835 million in tournament prize pools and hosted successful festivals across Europe. The EPT also incorporates the PokerStars Caribbean Adventure (PCA), which takes place every January in The Bahamas, one of the richest poker festivals in the world.